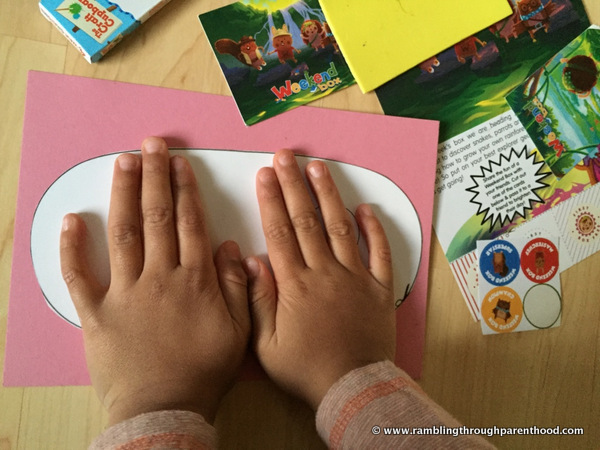 Rambling Through Parenthood : Mini Weekend Box: Try One For Free! Mini Weekend Box: Try One For Free! We have previously reviewed the Weekend Box on the blog. Here, we present an abridged version of the original – the Mini Weekend Box. What exactly is the Mini Weekend Box, you ask. It is a themed activity subscription box for children. 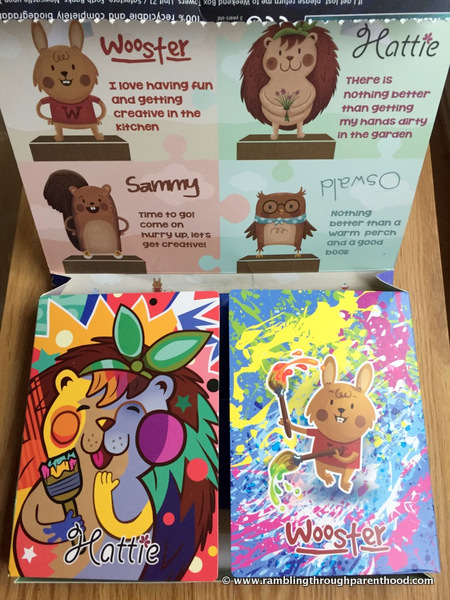 Priced at £4.95 each, the box includes two activities for your child to enjoy. The activities could be craft, sensory exploration, cooking or garden-based. Our mini box arrived a few days ago and this one was Rainforest themed. "Oh, this looks interesting,” was J’s reaction on opening the box. 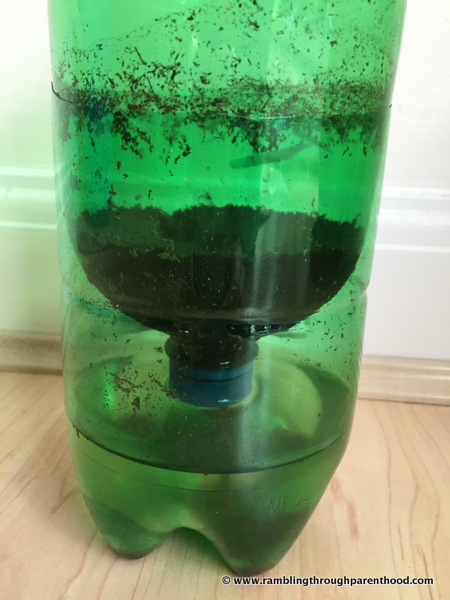 It contained one craft and one green activity. J is not 5 yet, so both activities required a fair amount of adult intervention. I think older children will be able to do a lot of the activities independently. For the craft, we created a parrot mask. The Mini Weekend Box had everything we needed for this activity bar a pair of scissors, which were easily got from our own craft box at home. I did the cutting, J did the sticking and decorating. 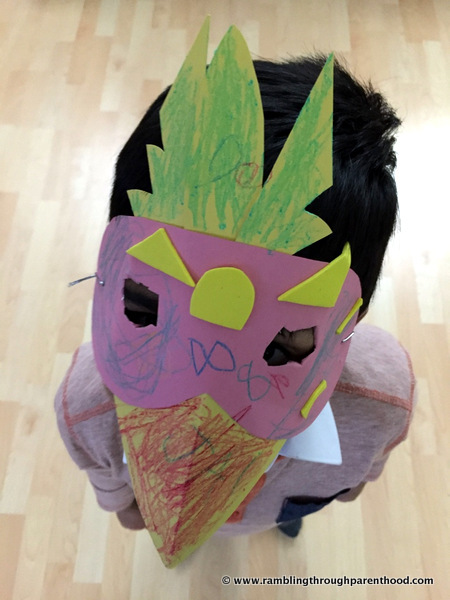 Our rainforest parrot mask was done in under 15 minutes. The green task was a bit more challenging. I really had to read the instruction leaflet very carefully, and at one point thought I had got it all wrong. Thankfully, I soon grasped the concept and everything made sense. It was a clever idea, and a great introduction to the science of osmosis for my son. Not that the term made any sense to him, he thought it was a bit of magic, the way water seeped along the wick. 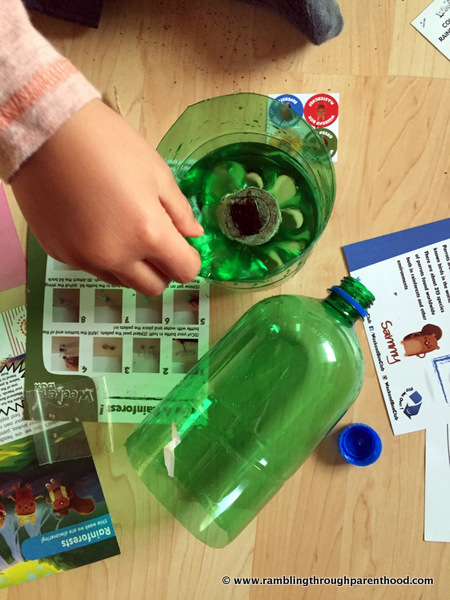 He has now planted the four seeds that came in the box in the soil in our upturned plastic bottle and we are waiting to see them sprout. 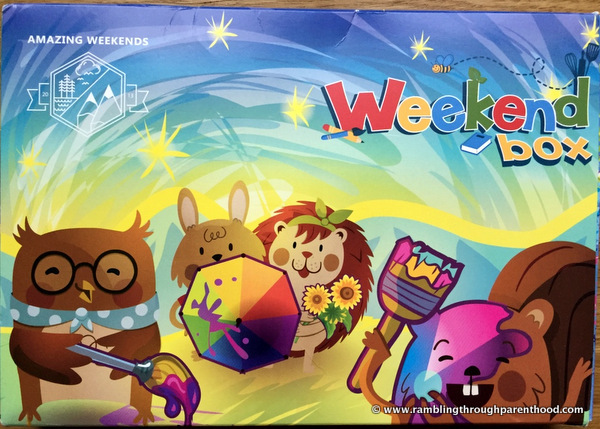 If you are looking for ways to keep your children occupied on weekends, this subscription box is for you. You can now try your first Weekend Box for free. Just use the code VAI174 when signing up at https://www.weekendboxclub.com. Have fun! Disclosure: We were sent a Mini Weekend Box for the purpose of this review. All opinions are my own. Love the sound of this box, I do not yet have kids and my nephew is too young for this type of craft I think but well done to you and your child. I've never heard of these and they look brilliant. Will have to give them a go when my little girl gets a bit older. Lets hope the seeds sprout soon and be sure to take a photo when that happens! I love the mask too! This looks fantastic, I would love to get something like that for Boo, but she is a bit too young yet. Something to look forward too ! It looks like you had a lot of fun! We did this too and had great fun. Did you find out what kind of seeds they were? This is a really great idea for a subscription box, we're always so bored at the weekends. It's great that the activities get little ones interested in crafts, gardening etc. These look like great activities for young children. I'm always stuck on things to do at a weekend if it is raining so these kinds of things would come in handy. Thanks for sharing.